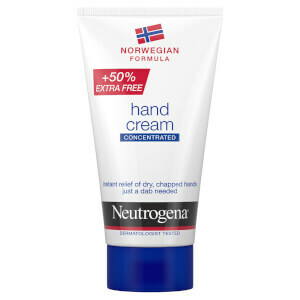 The Norwegian Formula® Fast Absorbing Hand Cream keeps hands hydrated and comforted, immediately moisturising hands so they recover their softness and suppleness. 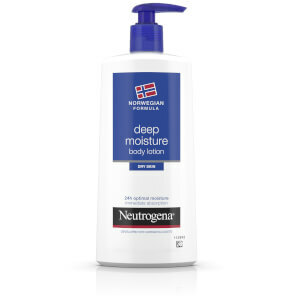 The light, non-greasy texture instantly melts into the skin for an immediate feeling of comfort. 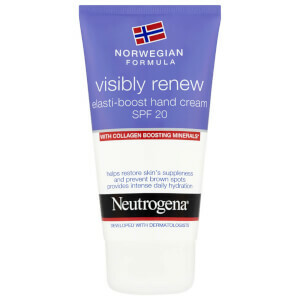 For soft, supple hands with no greasy after feel. [PR-014423], Aqua, Glycerin, Paraffinum Liquidum, Isopropyl Palmitate, Petrolatum, Dimethicone, Stearyl Alcohol, Glyceryl Stearate, PEG-100 Stearate, Panthenol, Ethylhexylglycerin, Palmitic Acid, Stearic Acid, Ammonium Acryloyldimethyltaurate/VP Copolymer, Acrylates/C10-30 Alkyl Acrylate Crosspolymer, Disodium EDTA, Sodium Hydroxide, Tocopheryl Acetate, Phenoxyethanol, Parfum.